The recent controversy over the Orthodox Church in Ukraine has been the subject of a lot of confusion, especially online. The following questions and answers attempt to clear up confusion in a non-partisan way that does not take sides in the dispute. Updates will be added whenever new information comes to light, so check back periodically. Who are the players in the current dispute and what is being disputed? The primary parties in the dispute are the Russian Orthodox Church (Moscow Patriarchate, MP), led by Patriarch Kyrill, and the Ecumenical Patriarchate of Constantinople (EP), led by Patriarch Bartholomew. Directly affected is the autonomous Ukrainian Orthodox Church – Moscow Patriarchate (UOC-MP), led by Metropolitan Onoufriy, who governs the only universally-acknowledged, canonical Orthodox presence in Ukraine. The EP has brought at least two deposed schismatic clergy into its own communion and declared its future intention to grant a tomos (official church document) of autocephaly (full self-government) to the Ukrainian Orthodox Church — though without stating to whom exactly the tomos would be granted. Both these actions were explicitly rejected by Moscow (including the UOC-MP) and were the occasion of a break in communion between the MP and EP. The Ukrainian government has come out strongly in favor of the EP’s actions and has in the past forcibly transferred parishes from the UOC-MP to schismatic factions. Because of the strong current of nationalism in Ukraine and because of the recent unrest in eastern Ukraine, it is feared that violence may erupt in the midst of the controversy, something that the EP warned against in its statement accepting the deposed clergy. Who are the Orthodox factions in Ukraine? The Ukrainian Orthodox Church – Moscow Patriarchate (UOC-MP) has broad autonomy, is universally recognized within the Orthodox Church, and is led by Metropolitan Onoufriy. Until just recently, the EP explicitly recognized the UOC-MP as the exclusive canonical jurisdiction in Ukraine. The UOC-MP has the greatest number of parishes and monasteries. The Ukrainian Orthodox Church – Kyivan (Kievan) Patriarchate (UOC-KP, KP) is led by Filaret Denysenko (who is styled “Patriarch of Kyiv” by his group) and came into being in 1992 when it went into schism from the UOC-MP. The KP has the second largest number of parishes in Ukraine. It also has parishes outside Ukraine, including led by clergy who have broken from canonical Orthodox jurisdictions. The Ukrainian Autocephalous Orthodox Church (UAOC) is led by Makariy Maletych (styled “Metropolitan of Kyiv” by his group) and has its origins in a 1921 split from the UOC-MP but was essentially reconstituted in both 1944 and 1990. The UAOC has the fewest parishes. In 1995, the parishes of the UAOC that existed outside Ukraine were received into the EP, and the EP at the time assured the MPthat its new Ukrainian diaspora flock would not aid the autocephalist schismatics and that there would be no communion with them. Between the UOC-MP and the KP, it is often disputed which has the greatest number of parishioners. The UAOC is far behind. What is the historical background and the EP’s basis for its actions in Ukraine? Historically, the Kyivan Metropolis was founded by the EP in the 10th century. The metropolis transferred twice — first to Vladimir in 1299 ( de jure, but moved de factoin 1240 when Kyiv was sacked by the Mongols), then to Moscow in 1325 (after transferring several times between Vilnius and Halych) — evolving into the Moscow Patriarchate, with a separate Metropolis of Kyiv refounded in 1458. The Metropolitan of Moscow became Patriarch of Moscow in 1589 and his church was granted autocephaly. In 1686, the EP transferred responsibility for ordaining the Metropolitan of Kyiv to the Patriarch of Moscow, an action not disputed nor repudiated by the EP until the current controversy. The EP argues that it never fully gave jurisdiction over the Kyiv metropolis to Moscow but only temporarily gave the MP the right to ordain its metropolitan, an action that it revoked in 2018. The MP argues that, because the EP made no claims over Ukraine for over 300 years, because of the close connection between the Kyiv metropolis and its successor in Moscow, and because the 1686 document gives no expiration for the action, Ukraine has been an integral part of the MP ever since. Thus, the MP is invoking ancient, universal Orthodox canons about bishops intruding into canonical territory that does not belong to them, saying that the EP is interfering where it has no authority. Further, until just recently, the EP generally recognized the UOC-MP as the only canonical jurisdiction in Ukraine, thus indicating by its current actions that it has changed its view. One exception to this is a comment in its 1924 tomos of autocephaly to the Polish church that the incorporation of Kyiv into Moscow “in no way occurred according to the binding canonical regulations.” But until 2018, no attempts were made to change the arrangement that had persisted for centuries. In addition, the EP makes the argument that autocephaly may be granted only by the EP, a reversal from the last several decades in which the EP argued that a grant of autocephaly requires pan-Orthodox unanimity. What action did the EP take regarding Filaret Denysenko and Makariy Maletych? To accept and review the petitions of appeal of Filaret Denisenko, Makariy Maletych and their followers, who found themselves in schism not for dogmatic reasons, in accordance with the canonical prerogatives of the Patriarch of Constantinople to receive such petitions by hierarchs and other clergy from all of the Autocephalous Churches. Thus, the above-mentioned have been canonically reinstated to their hierarchical or priestly rank, and their faithful have been restored to communion with the Church. What is the current status of Filaret and Makariy? Both were formerly clergy of the UOC-MP (Filaret as Metropolitan of Kyiv and Makariy as a priest) who were subsequently deposed from clerical orders and returned to the rank of monk by the MP after they went into schism from the MP. Both were later declared Patriarch and Metropolitan (respectively) in their groups. Their deposition in the 1990s was explicitly recognized by the EP at the time. The EP has not recognized Filaret as the Patriarch of Kyiv but only as a former metropolitan, and it has not clarified whether it considers Makariy to be a priest or a bishop (as he later became in the UAOC), nor has it made a statement about the many other clergy serving in the KP and UAOC. Filaret has said subsequent to his reception by the EP that he considers himself to be Patriarch of Kyiv, past, present and future. On Oct. 20, the KP synod revised his title to indicate that he is called “Patriarch” in Ukraine but “Metropolitan” in dealing with other churches (also adding a claim to monasteries of the UOC-MP). Makariy has continued to dress as a bishop. What was the MP’s response to the EP receiving Filaret and Makariy into communion? How has the EP responded to the MP’s break in communion? It has not yet responded, though its Russian-tradition exarchate in Western Europe (an EP jurisdiction dating from 1921, a.k.a. “Rue Daru” from the street address of its HQ) has stated that it remains in full communion with the MP. 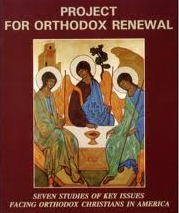 Are any other Orthodox churches affected by this break in communion? No. Only those under the EP (in the US, this includes the Greek Orthodox Archdiocese (GOA), Ukrainian Orthodox Church of the USA (UOCUSA) and American Carpatho-Russian Orthodox Diocese (ACROD); in Europe and elsewhere, this includes all Greek and Ukrainian parishes, as well as the Russian Exarchate (“Rue Daru”) which is under the EP) or the MP (in the US, this includes the Russian Orthodox Church Outside Russia (ROCOR) and MP parishes, but notthe OCA (which is of Russian tradition but understands itself to be autocephalous, having been given that status in 1970 by the MP); elsewhere, this also includes both MP and ROCOR parishes). No other churches have yet joined the MP in the break in communion with the EP. How will the break in communion affect churches in the US, western Europe or elsewhere in the diaspora? Besides the bilateral communion break between EP and MP parishes and clergy, whenever pan-Orthodox events are held, if there are both EP and MP clergy present, then one or both groups will have to sit out on any concelebrations or inter-communion. It is not yet clear whether EP clergy and laity are barred from receiving sacraments from MP clergy. The ban expressed by the MP was binding only on its own clergy and laity. When will the EP-led “unification council” to elect a new metropolitan of Kyiv and form its new church body happen? The Ukrainian president, Petro Poroshenko, announced that this council will happen on Dec. 15, 2018. No official announcement of the date has yet been made by the EP, though leaked copies of the EP invitation to attend confirm the Dec. 15 date. What is the UOC-MP’s response to is announcement?? On Dec. 7, the UOC-MP holy synod adopted a series of resolutions, rejecting whatever the outcome of the Dec. 15 council might be, calling it an “unlawful assembly,” forbidding its clergy from participation in it, reiterating that the EP has no canonical rights in Ukraine, and noting Ukrainian government interference in church life. What will happen to Metr. Onoufriy (UOC-MP) after the council? It’s not clear what the Ukrainian government might do to enforce the EP’s views on this, but the EP has stated its view that, after the council, Metr. Onoufriy will not be allowed to hold his current title. How do the other Orthodox churches view the actions of the EP in Ukraine? So far, none have endorsed the EP’s actions in Ukraine or regarded Filaret or Makariy as canonical Orthodox clergy. The MP has also insisted on the need for a pan-Orthodox synaxis, and the UOC-MP synod called for the schismatics to repent and return to the UOC-MP. The EP has not yet officially responded to the calls for a synaxis. Until now, one of the most objective and least intriguing contributions that sheds more light on the most dramatic Church disputes in Orthodoxy in recent decades. Only Kyiv and left-bank Ukraine were “transferred” in 1686. Right-bank Ukraine, Halychyna, Zakarpattya were never included in the “transfer”, but were brazenly seized by the ROC in the late 18-th through mid 20th centuries. Southern Ukraine also belonged to the PofC, as did the Crimea. All of these were uncanonically united to the ROC. By the way, by what right (except of seizure) does Moscow include Bilorus as its canonical territory. After 1686, it remained the canonical territory of the PofC, although the majority of its inhabitants were faithful of the Bilorusian-Ukrainian Church united with Rome. These were forcibly “converted” to Orthodoxy in the 18th-19th centuries. “Let him who is without sin cast the first stone”. Please, which of the Balkan/Eastern European Orthodox Churches have an untarnished past in regards to their reception of autocephaly? In all cases, the State was involved; in all cases, they remained in schism for years on end (Bulgaria – almost 70! ); in all cases their hierarchs (in the case of Bulgaria, even the clergy and people) were under anathema. What about ROCOR? Which Church repented – ROCOR or MP? Whose hierarchs and clergy were reordained, ROCOR’s or the MP’s. Who recognizes the UOC-MP as an autonomous, self-governing Church? Did they take part in the Great Synaxis? Were they invited to the Great Council, separately from the MP? 1) Nowhere in Orthodox Canon Law does it give the Pat. of Constantinople/Istanbul the authority to “grant” autocephaly. Autocephaly is something which ORGANICALLY develops in a “local” church after missionary efforts take place. 2) After the Council of Florence when Constantinople signed to be in communion with Rome, the Kievan/Rus threw out their Constantinople archbishop/metropolitan, Isadore, and declared themselves “AUTOCEPHALOUS” since Constantinople fell into heresy. (The basis for the Kievan/Rus claim of being “The Third Rome.”) Constantinople did not recognize their autocephaly for over 150 years and when it did, it was only after much MONEY & JEWELS were paid. 3) The Pat. of Istanbul does not have the authority to GRANT autocephaly, only “RECOGNIZE” a LOCAL CHURCH’S autocephaly like all the churches must. If not, they must state the CANONICAL reason for non-recognition. 4) Autocephalous churches, a “LOCAL CHURCH,” has always been organized in a “TERRITORY,” a separate country or region. Russia is Russia & Ukraine is Ukraine – Canon Law. And only ONE autocephalous church can exist in a territory. 5) Ukrainian oligarchs made a down payment to Pat. Bart. of $25mm to recognize their autocephaly. Apparently, everything is for sale. Maybe that’s the reason that the Greek Orthodox Church in the U.S. is not autocephalous. Thus, everything has a price. I assume the Greek “oligarchs” in the U.S. (i.e., Leadership 100 and Archons) are not interested in autocephaly. They just want to maintain the climate and tradition of Hellenism at the expense of the Faith and of those who do not “speak” the language and are not genetically Greek. OK Peter, prior to the Russian Revolution, 1917, money, clergy, bishops all flowed from Russia to America for ALL the Orthodox. After the Revolution, this all dried up. The ethnic Orthodox in America looked to their own countries for this support and therefore, the ethnic mess with many bishops we now have in America. In 1961, SCOBA (all the canonical Orthodox bishops) decided that they would work towards and “JOIN” a new AUTOCEPHALOUS Orthodox Church called, “The Orthodox Church in America” (OCA). This can be found in SCOBA’s minutes. Fr. Alexander Schmemann was appointed as SCOBA’s advisor in church matters. In 1970, the Metropolia, the original missionary church in America from the Russians given autonomy when the Russian Revolution took place, was granted AUTOCEPHALY by Moscow. This was accomplished by Fr. Alexander Schmemann and was exactly what SCOBA asked for. As Orthodox Canon Law requires, the Bulgarians joined the OCA, the Romanians, the Albanians and other. However, both the Greeks & Antiochians reneged. Those not joining the OCA were closely tied to their foreign country patriarchs and are still to this day. Are you aware of how much money these churches pay directly to these foreign patriarchs to keep them afloat? The smallest Greek parishes are required to pay $200,000 per year to Pat. Bart. By instilling this need for Hellenism among the Greeks keeps the money flowing to Istanbul. The Antiochians do the same as well as others not in the OCA. So, this is a non-canonical situation and yet the foreign patriarchs ignore church organization canon laws. Furthermore, Canon Law is pretty clear, bishops & patriarchs ONLY have authority over their own TERRITORY. America is not the territory of ANY foreign bishop. The Ukraine is the Ukraine, Russia is Russia and America is America! There are currently more than 500 parishes in the GOA. More than half are struggling to meet their required payments to the Archdiocese. According to your claim at least $100 Million is sent annually from parishes in the US directly to Istanbul. To my knowledge not a single GOA parish sends ANYTHING to Istanbul. Only a very few of the largest parishes are able to send even close to $100,000 per year to the Archdiocese.. let alone twice that to Istanbul. Sadly, including such a claim in your commentary undermines everything else you say, most of which has merit. George: I believe you should do your own survey. My information comes from several Archons and maybe they have inflated numbers. In any concern, isn’t it about time the Greeks in America support the Greek churches in America? Look at all the money raised for St. Nicholas at the World Trade Center in NYC – most of it disappeared! Many said it went to Istanbul. George is correct. The inflated numbers you received from the archons is not correct. I attend a parish that is assessed about $100,000 annually by the Archdiocese. This money goes directly to New York and is used to fund the ministries of the GOA as well as the local metropolises. 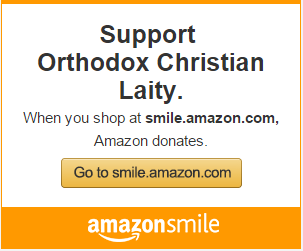 I’m sure that some of these funds are forwarded to Istanbul to support the patriarchate which also receives support from Greece and from other churches under its jurisdiction, i.e., Poland, Finland, and recently, possibly, Ukraine. Nikolai, your assertion is ridiculous. I am familiar with several church budgets and none of them give anything to the EP. You should hold yourself accountable and repent of spreading false information. I believe nothing is hard to understand: PE is under the direct supervision of CIA. Orders were given based on political agendas. It has been like this since twenties of last century. Dear JK: My info comes directly from several archons. Do your own research. Whether the money goes to NY first, it ends up in Istanbul. Nikolai, either the archons you consult with don’t know what they are talking about or you are fabricating information. I am intimately familiar with the budgets of many parishes and there is not provision for 1000K going to the patriarchate from any of them. Only one of the parishes sends 100K to the archdiocese for its assessment. Again, repent from disseminating false information. Well JK, since you are “intimately familiar,” please tell us all, how much money is shipped over to Istanbul per month, per year. Where did the majority of the money go from the St. Nicholas Fund at ground zero? Nicolai, I have no idea how much money is given to the patriarchate monthly. I do know that there is a line item on the budget of the archdiocese for the patriarchate. And I don’t know where the money for St Nicholas fund went but that is very different from parishes sending 100K/year to the patriarchate. Nicolai, I hope you have the integrity to retract your statement about parishes giving to the GOA. We will be judged by that we say or in your cause write. I hope you believe in truth and not gossip and innuendo. Dear JK, I hope you have some integrity. No gossip, no innuendo, but info from archons. Now, you can do us all a favor and perform your research and give us all accurate numbers. Where did most of the missing money go from the St. Nicholas Fund at ground zero? How much actual money is sent to the Phanar monthly, quarterly, yearly? The lack of a good census in this process does not concern the laity, nor the great part of the deacons and priests. It concerns the little shame that the senior church hierarchy demonstrates with these power games. The Múnus to be delivered at Phanar on January 6 will have several conditions detrimental to peace among the faithful of these Churches. One of the very negative aspects is the EP that has to submit to its authority all the priests and communities that are in the diaspora and to withdraw from the authority of the Ukrainian Church. This is all so byzantine….. Church Canons are all over the place and at times totally ignored. Why won’t all the people have the power come together and revise all the canons, so everyone will be using the same standards? I seriously think it is an alpha-male thing, and it has nothing to do with Church Discipline. To me, all of this is rather disgusting.